1. Monday, March 11, 2019; 2-3:30 pm PDT (4-5:30 pm CDT, 5-6:30 pm EDT): No show for today. Monday is for special and timely programs only. 2. Tuesday, March 12, 2019; 7-8:30 pm PDT (9-10:30 pm CDT, 10-11:30 pm EDT): We welcome Chris Blackerby, COO of Astroscale, to discuss space debris removal. 3. Wednesday, March 13, 2019: Hotel Mars. See Upcoming Show Menu and the website newsletter for details. Hotel Mars is pre-recorded by John Batchelor. It is archived on The Space Show site after John posts it on his website. 4. Friday, March 15, 2019; 9:30-11 am PDT (11:30 am-1 pm CDT, 12:30-2 PM EDT): We welcome David Shayler, author and space historian, to talk about the British Interplanetary Society (BIS), human spaceflight, Skylab, the Russian and Chinese space programs, and more. 5. Sunday, March 17, 2019;, 12-1:30 pm PDT (3-4:30 pm EDT, 2-3:30 pm CDT): We welcome Dr. Rachel Seidler to the show to discuss her research into the effects of microgravity on neuromotor behavior. See www.seidlerlab.com. 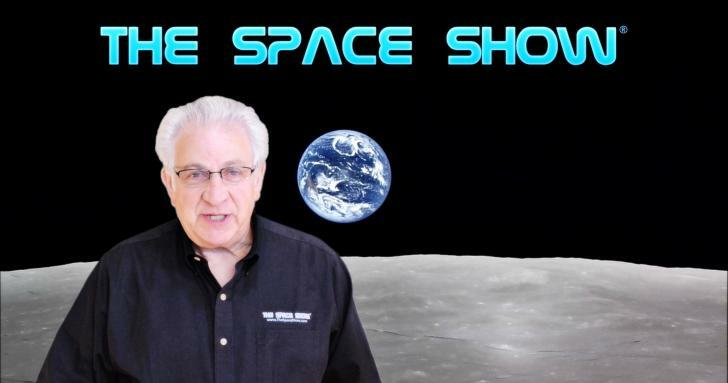 ** Fri, 03/08/2019 – Jose Ocasio-Christian discussed talked about “Caelus Partners and The Caelus Foundation’s Community in Space Campaign, their upcoming opening dialog workshop with China on commercializing space and much more”. , and about “commercial space, SpaceX, Elon Musk, industry financial evaluation, human spaceflight, Howard Hughes-Elon Musk comparison and more”. ** Sun, 03/03/2019 – David Livingston hosted an open lines discussion with show listeners.